They say the way to a person’s heart is through their stomach and our first annual Choose Love event – taking place at Pikes on Tuesday September 4, 2018 – has been created with that very ethos at its core. 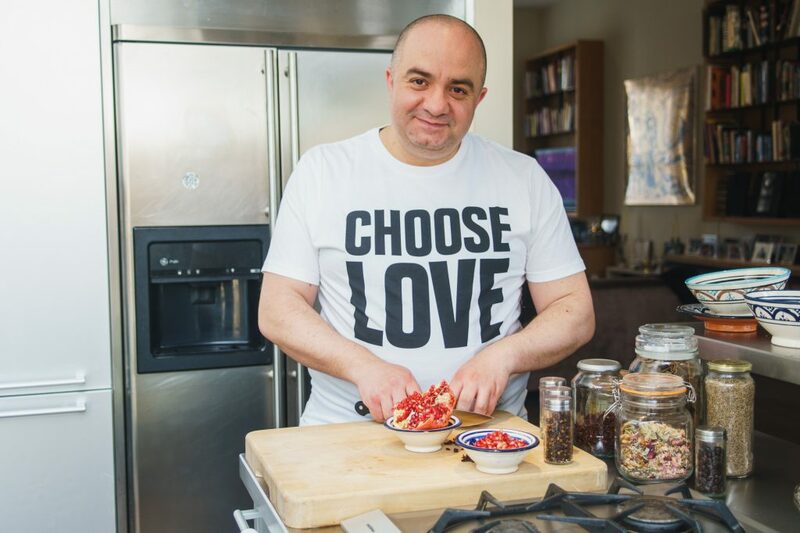 In collaboration with Help Refugees UK, we’ve invited famed Syrian refugee chef Imad Alarnab – a warm, humble, softly-spoken yet big-hearted man who is living, breathing proof that love saves lives – to take over our kitchen and turn Pikes into a Syrian supper club for the early hours of the evening. Considered one of the most successful restaurateurs in Damascus, Imad loved both his city and traditional Syrian food, believing passionately that food is the glue that brings people together in life. His passion for cooking was inherited from his mother – a woman considered the finest cook in Damascus (or as Imad says, “in the world”) – and he spent his youth under her tutelage in the bustling family kitchen. He would spend days wandering through the fields outside the city to pick fresh produce, where he would meet farmers who would share their homemade meals and recipes with him, no matter how poor they may have been. He explains generosity like this is typical of Syrian people – indeed, this kindness is a huge part of his own genteel make-up. By 2015, Imad owned three successful restaurants and two juice bars, having turned his passion for cooking into a professional career. When the war broke out in Damascus 2012, his dreams came crashing down as two of his restaurants were destroyed by bombings and his beloved city was no longer a safe place for his family to live. Like many other Syrians before him, Imad made the courageous decision to flee the city in search of a better, safer life for his family and in 2015, he began the harsh and dangerous journey that would ultimately lead him to the UK. Driving to Lebanon, flying to Turkey, sailing to Greece (with 54 people on a nine-person boat), walking to Macedonia and travelling through Serbia, Hungary, Austria, Germany and France, until finally he reached the refugee camps in Calais. It was here Imad – alongside 13 other Syrians – slept on church steps for 64 days while seeking asylum and a place to live that would allow them to legally reunite with their families. It was also here where someone donated a small single gas hob and knife so he could cook for those surrounding him. Initially, he says the neighbours of the church were not welcoming (feelings he also sympathised with) and over time, he won them over – you guessed it – through cooking. Imad would cook three times a day for anyone in need and despite suffering such hardship, he now looks back at the cloudy experience to see its silver lining. He says his journey allowed him to see the best of human nature, after experiencing the worst. It enabled him to make the best of friends in the worst of times. Finally, three months after leaving his war-torn home, Imad arrived in London. It was in London where Imad found his way back into the kitchen, thanks to the help of charities such as Help Refugees and UNICEF. Wanting to give back to the community that had saved him from a truly desperate situation, and at the same time driven by the desire to help those in his hometown still affected by the war, Imad’s Syrian Kitchen was born. Initially a pop-up charity project (which Imad describes as his “duty as a refugee living in London”), the cosy, homey restaurant was staffed by Help Refugees volunteers and profits were sent to the crowd-funded Hope Hospital in Aleppo. Each and every night was a sell-out, showcasing Imad’s mother’s cherished recipes to a new audience who also wanted to help make a difference. The results exceeding Imad’s wildest dreams and the project was constantly extended, ultimately becoming the more permanent Imad’s Choose Love Kitchen. Which brings us to right here, right now. 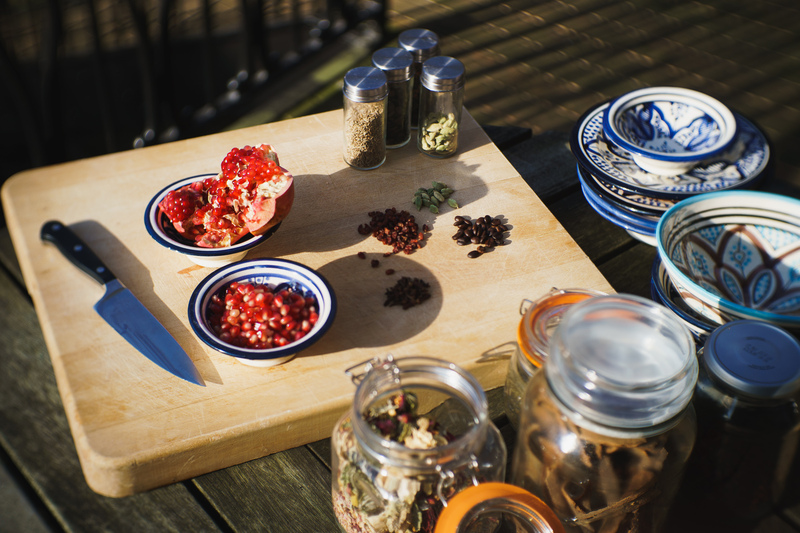 Choose Love is bringing Imad to the shores of Ibiza – more specifically, into the kitchen at Pikes – for a night of fun, frivolity, feasting and of course, fundraising in the name of love. 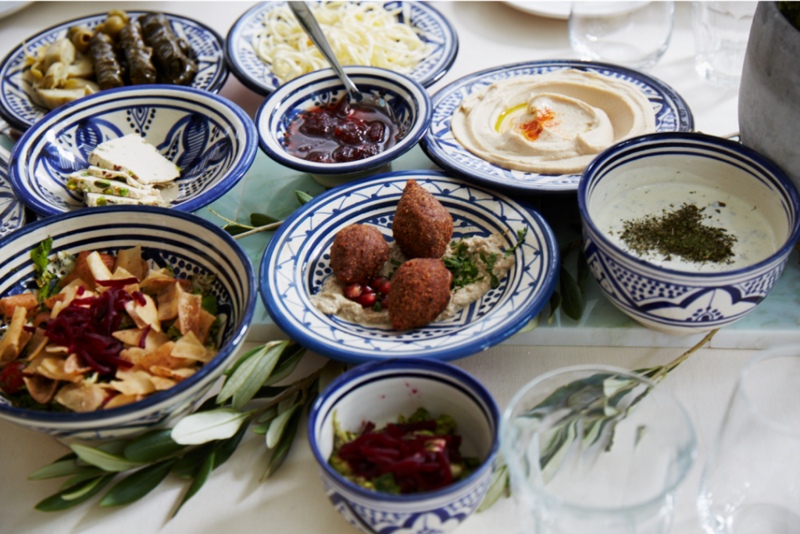 So what kind of Syrian goodness can you expect to feast upon at our Choose Love dinner? Imad describes his cuisine as traditional homemade Syrian food brimming with herbs, spices, scents and unique flavours. In classic Syrian style, most dishes are designed to be shared and colourful plates sit alongside steaming hot bowls of goodness on the tables, resembling the family-style feasts of Imad’s childhood. A colourful mezze spread to start includes Imad’s now famous crispy chickpea and bean falafel (which takes him almost three days to make) and manoushi (flat breads) with four taste-sensational homemade dips: creamy hummus, traditional smoky baba ghanoj, bado (baby aubergine, sweet red peppers and chilli smoked on an open fire) and kashkah (bulgar soaked in homemade Greek yoghurt). Two flavour-filled salads are the perfect accompaniment – the black olive and orange Zaytoon salad and the Haloumi Shalal salad. All gluten-free, all vegetarian and mostly vegan – and all as hearty as they are healthy. Choosing your main course is always the hardest part of any themed meal (food envy is real people!) so we recommend booking a table with friends you know will be only too happy to share! Choose from Sharhat (lamb served with bulgar wheat), Mandie (smoked marinated chicken served with rice) or Mosaá (grilled vegetables) but whatever you do, be sure to save room for dessert because Imad has promised to whip up a batch of his mother’s unforgettable Eish Alblblb. In addition to the Syrian feast, Pikes bar manager Tanja has designed a special Syrian-inspired welcome drink for all diners to sip on arrival and in true Pikes style, there will be plenty of wine flowing to get the good vibes going for the night ahead, which also includes an art exhibition by Print Club London and music courtesy of special guest Denis Sulta. Rather than reflect on the bad times, Imad holds high hopes for the future of Syria. And while sometimes it may feel impossible to make a change in the world, it is people such as Imad who prove that one person can indeed make a difference. Whatever you do – don’t do nothing. We believe by choosing love and choosing to support events like these, we can contribute to making the world a better place together, just by having a good time, or eating a falafel. Quite possibly both. Whatever your motivation may be, Choose Love. Dinner reservations essential. Includes your entrance to Freddies after. As the evening turns to night, we head into the legendary club space at Pikes; Freddies.